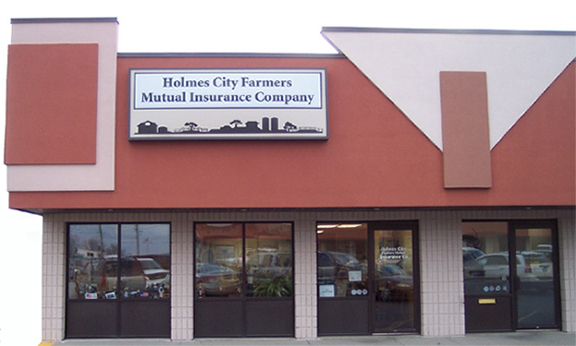 THANK YOU FOR INSURING YOUR PROPERTY WITH HOLMES CITY FARMERS MUTUAL INSURANCE COMPANY. The company was organized at Holmes City, Minnesota in the year of 1884 and began doing business as of January 4, 1885 with a group of 40 pioneer farmers wishing to have their property insured against the hazards of fire and lightning. The early policies were issued in the Swedish language. One of the early bylaws stated that in order to be a member it was necessary to be one of Scandinavian nationality. Later, new bylaws were established and by 1908 all policies were issued in the English language. Many changes have come about since we were organized over 120 years ago. We now not only insure against fire and lightning but also include additional lines such as smoke, explosion, theft, vandalism, overturn of farm machinery, and many other perils. YOUR AGENT WILL REVIEW YOUR POLICY WITH YOU SO YOU KNOW WHICH PERILS ARE INCLUDED IN YOUR POLICY. Your policy may also be packaged for wind, liability, and inland marine coverage’s with a state wide mutual company. Our statewide companies are: NORTH STAR MUTUAL, and RAM MUTUAL. Copyright © 2010 Holmes City Farmers Mutual Insurance. All Rights Reserved.